The bicycle-racing blood runs deep in Chicago native John Vande Velde's family. It was his destiny, he explained, to become a bike racer because his father, uncle and brother raced. Vande Velde’s grandfather immigrated to Chicago from Belgium and the love of the sport has been passed from generation to generation in the family. The family tree now includes his son Christian, currently racing for Garmin-Sharp; daughter Marisa, who was a two-time national track champion, and youngest son Ian, a multiple national and world transplant Olympian. “I swam competitively and was sick of doing laps in a pool," the 62-year-old Vande Velde told me from his home in Illinois. "I went to a bike race and got really excited, so I went to a bike club meeting and came back with an application for the Amateur Bicycle League of America. My dad didn’t want to sign it because he wanted me to make the Olympics in swimming. He was eventually very proud of my choice and was behind me 100 percent my whole career." 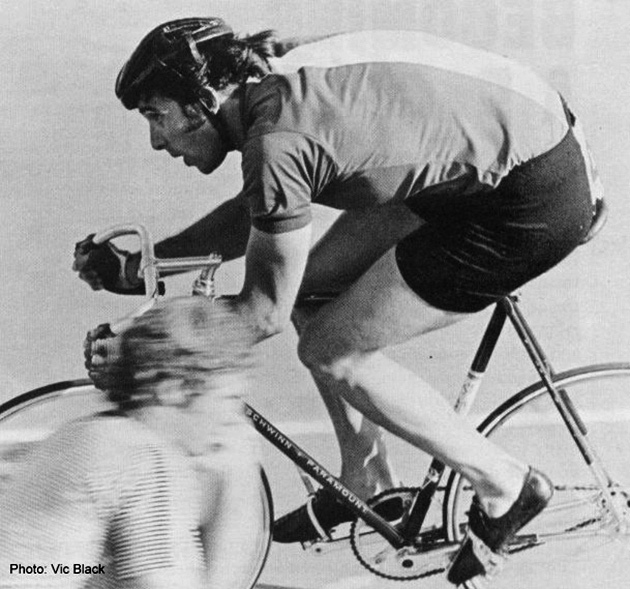 And what a career it was: two-time Olympic track racer (1968 and 1972); professional six-day racer in Europe, Canada and the U.S.; and a member of the first American professional road team—though was most proud of his time on the boards. "I raced sixes for two years on both sides of the Atlantic," he said. "My best partner was Jack Simes we got two second places, two thirds in the five races we did. The Euros hated us because we were taking the place of two Euros, but I was very proud of what we did because we proved to them that Americans could ride their bikes; it opened the doors to a very secular sport for future Americans. 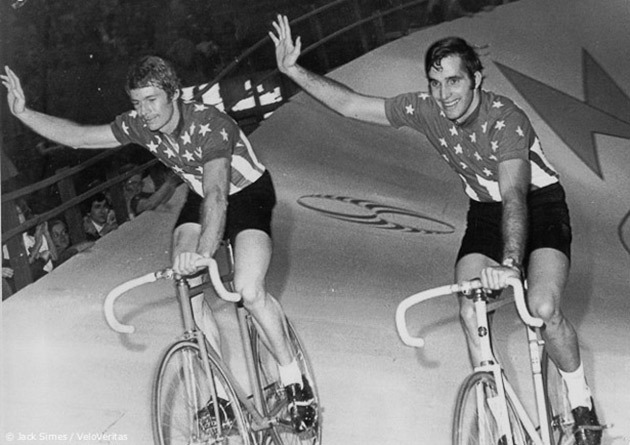 I knew after retiring that the six-day format would have a very hard time catching on in the U.S."
In Montreal, during his first 6-Day race after the '72 Munich Olympics, Vande Velde and Simes placed third, rattling the European cages, followed by two more podiums in the U.S. This led to a contract for five European 6-Day races which required Vande Velde to ride with an assortment of riders. He was partnered with Théo Verschueren, the reigning World Champion behind the motors. “It was by far the hardest race I ever rode,” Vande Velde explained. He often said that if I could have raced a pursuit after that race, he would have set a national record that wouldn't have been touched for years. 2. Vande Velde raced Schwinn Paramounts his entire career, both on the track and on the road. He joined the Shimano Pro Cycling Team in 1973, America's first professional road team, racing for two seasons. The team raced across the country with a few efforts in Europe, culminating with Vande Velde’s final World Championships in Montreal in 1974, won by the Belgian steamroller Eddy Merckx. 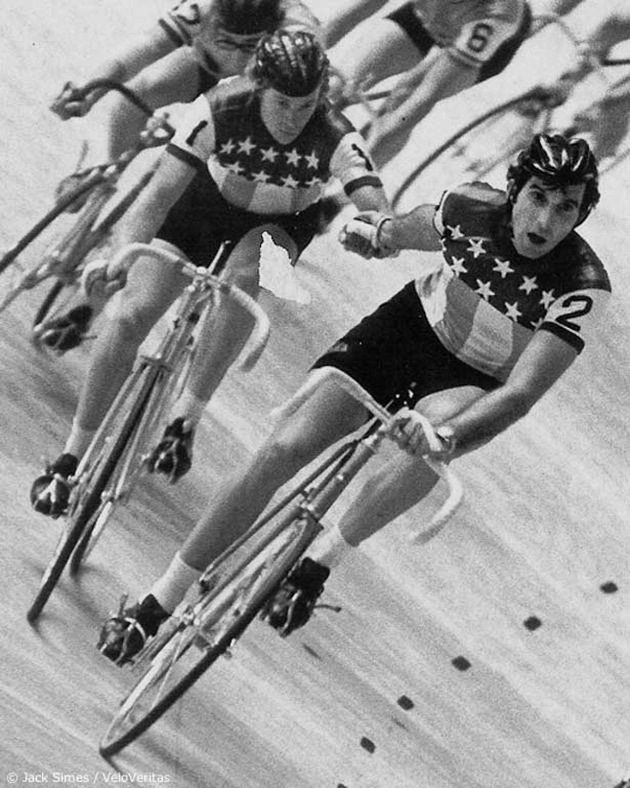 Vande Velde's custom Paramount for the 1972 Olympic pursuit race was hand built in Chicago by George Flagle. The bike was crashed post-Olympics, and the seatstays and bridge were replaced by Bernie Mikkelsen using the period-correct Reynolds 531c tubing. To shave weight, the Nervex lugs were filed down beyond recognition, the Campagnolo track ends drilled out 30 times, both sets of dropouts filed thinner than stock, and there were four large cut-outs on the bottom bracket shell. Approximate weight for the frame and fork was 3.6 pounds. Son Christian borrowed one of his dad’s old Paramounts for his first race on the track at age 17. 3. 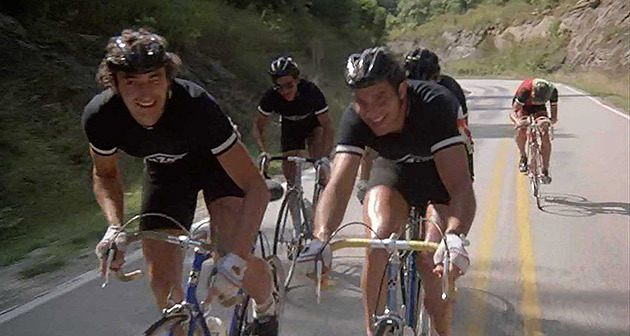 After retiring, Vande Velde went into sports marketing, and in the summer of 1979 enjoyed some camera time as one of the Team Cinzano Italians in the Academy Award-winning movie "Breaking Away"; his 'Italian' teammates included Eddy Van Guyse, Carlos Sintes, and Pete Lazarra. Only the first two are named in the credit scroll. Van Guyse had the honor of sticking his frame pump in Dave Stohler's front wheel. Vande Velde was also instrumental in getting Motorola to take over title sponsorship for Jim Ochowicz's successful 7-Eleven cycling team from 1991 to 1996. 4. Vande Velde envisioned and built a portable track, patterned after the 't Kuipke, the velodrome which hosts the legendary Six Days of Ghent in East Flanders. His goal was to create a real Six-Days type track that would challenge and prepare American cyclists to develop their technical skills and be able to race more competitively with the Europeans. The Vandedrome, created in 1994, is adjustable in length, and can be assembled and disassembled within 24-48 hours and requires six tractor trailers to move. The wood and steel track is 154-167 meters long with 54-degree banked turns. Its home base was originally in Joliet, Illinois and it was first used for racing in Del Mar, California in February 1995. In June 1996 the Vandedrome was put up in Chicago and used for the "Taste of Chicago" track races. 5. Vande Velde is treasurer of the Midwest Chapter of U.S. Olympians & Paralympians. His youngest son Ian, 32, has won multiple medals in the National and World Transplant Games, and Christian raced in the 2000 and 2008 Summer Olympics, on the track in Sydney, and on the road in Beijing.